BEFORE HITLER INVADED POLAND -- POLAND INVADED CZECHOSLOVAKIA! [WeeklyUniverse.com] Poland is often called the first victim of World War II -- invaded and divided by Hitler and Stalin in 1939. Almost forgotten is the startling fact that, only months before before Hitler invaded Poland, Poland joined Hitler in dismembering Czechoslovakia! That's the long buried historical fact unearthed in the Illustrated World War II Encyclopedia and illustrated in the below map. According to the Encyclopedia, in May of 1938, Hitler mobilized his military to annex Czechoslovakia's German-speaking Sudetenland -- but halted when Britain, France, and Stalin's Soviet Union threatened war if he did so. Hitler backed down, but he wouldn't let the matter rest. On September 15, British Prime Minister Neville Chamberlain visited Hitler to discuss a "peaceful solution" to the Sudetenland question. In a followup meeting on September 22, Chamberlain agreed to allow Hitler to annex the Sudeten region. But Hitler wasn't satisfied! He wanted German troops to enter the Sudetenland at once -- something Chamberlain refused to allow. With war looking imminent, on September 23, the Czechoslovakian military mobilized to defend against Nazi Germany. Poland then made its move. On September 27, seeing that Czechoslovakia was in dire straits with Nazi troops readying to invade, Poland issued an ultimatum, demanding that Czechoslovakia hand over its Tesin (Teschen) district. Two days later, on September 29, France, Britain, Germany, and Italy signed the Munich Agreement. It allowed Hitler to have the Sudetenland in exchange for him agreeing to "guarantee" Czechoslovakia's borders -- but only after Poland and Hungary had taken their shares! 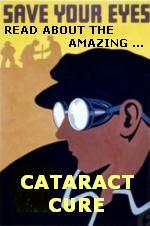 Britain and France not only sold out Czechoslovakia to Hitler -- but to Poland and Hungary too! "As Article 1 of the agreement put it, 'when the question of the Polish and Hungarian minorities in Czechoslovakia has been settled, Germany and Italy will each give a similar guarantee to Czechoslovakia'. Poland had been first to share in the spoils. After an ultimatum from Warsaw on September 27, 1938, Czechoslovakia had ceded to Poland the district of Tesin (Teschen) -- an area of some 625 square miles with a population of 230,000 people." After signing the Munich Agreement, Chamberlain flew back to Britain, declaring that the Agreement meant "peace in our time!" But it was not to be. Poland took its piece of Czechoslovakia first. 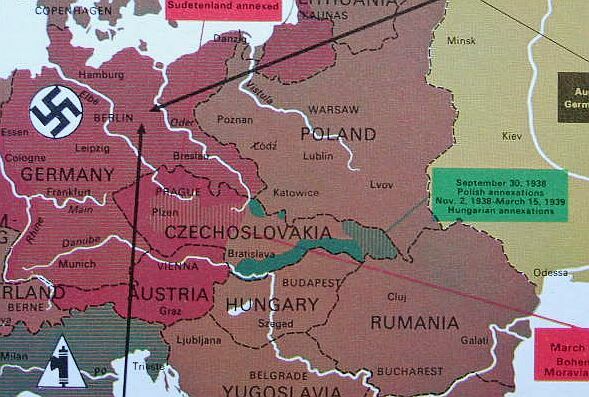 Then Hungary helped itself to some of Czechoslovakia's Sub-Carpathian Ruthenia region. Hungary said it had been stolen from them after World War One by the 1920 Treaty of Trianon. To make matters worse, even while it was being dismembered, Czechoslovakia was contending with demands for independence from its Slovakian region. And so, now trying to appease its own citizens, Czechoslovakia agreed to grant more autonomy to Slovakia, and to hyphenate the country's name, so that it became Czecho-Slovakia. Abandoned by its allies and threatened with civil war, Czecho-Slovakia was unable to fight its neighbors. Instead, it allowed Germany, Hungary, and Poland to bite off pieces, hoping they'd eventually all be satisfied and go away. "Having appeased the Polish and Hungarian demands in accordance with the Munich Agreement, Czecho-Slovakia was now entitled to ask for the promised guarantees from Italy and Germany. On November 5, Chvalkovsky raised the point in a discussion with Dr. Hencke, German chargé d'affaires in Prague, only to be dismissed with the reply: 'The question of the guarantee will not arise until the new frontiers have been defined in detail by the commissions.' "
But instead of guaranteeing the new borders, Hitler took advantage of Czecho-Slovakia's internal divisions. He encouraged Slovakia to declare independence, so he could more easily take the remaining Czech region. As enticement, in March 1939, Hitler promised Slovakia that if it declared independence, he would protect it -- from Hungary and Poland! "[O]n one hand, the autonomous Slovak Government could continue to exist according to the statute granted to it in the previous autumn by the Prague Government -- in which case Germany would settle accounts with the Czechs and leave the Slovaks to the mercies of Poland and Hungary. Alternatively, if Slovakia demanded immediate independence from Prague, the Reich would offer all-powerful protection to the new state, and would shield her from the territorial greed of Warsaw and Budapest." In the end, Hitler took the remaining Czech region, and Slovakia won its independence -- at least until the end of World War II. Slovakia was forced to reunite with the Czechs under Communism, but was separated once more after the fall of Communism. Stalin was angered by being cut out of the Munich Agreement by his "allies", France and Britain -- but he got back at them! In 1939, Stalin snubbed them by signing a "non-aggression pact" with his new buddy, Hitler. Poland did not enjoy its Czech spoils for long. Less than a year after stealing its piece of Czechoslovakia, Poland was invaded and divided by Hitler and Stalin. Even after World War II -- and to this day -- Russia has not returned much of the territory it stole from Poland. Wise men have long said, As ye sow, so shall ye reap, or, What goes around, comes around. Crushed by Nazis and Communists, Poland soon knew what it felt like to be on the receiving end of a conquering bully -- a thousandfold over! The Illustrated World War II Encyclopedia is "Based on the Original Text of Lt. Col. Eddy Bauer"; Editor-in-Chief Brigadier Peter Young, DSO, MC, MA; Consultant Editors Brigadier General James L. Collins, Jr. U.S.A., Chief of Military History, Dept. of the Army, and Correlli Barnett, Fellow of Churchill College, Cambridge; Editorial Director Brian Innes; H.S. Stuttman Inc. Publishers; Copyright Orbis Publishing Ltd., 1972, 1978, Copyright Jaspard Polus, Monaco, 1966; ISBN: 0-87475-520-4." Readers who wish to learn more about this subject may wish to purchase: Borders of Language and Identity in Teschen Silesia (Berkeley Insights in Linguistics and Semiotics, Vol. 28), by Kevin Hannan and Decision in Vienna: The Czechoslovak-Hungarian Border Dispute of 1938, by Edward Chászár. Vanessa Cortez is a Los Angeles based tabloid reporter who investigates the occult underbelly of the entertainment industry. 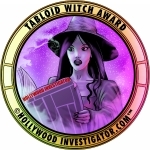 Read more about her journalism in Hollywood Witches.